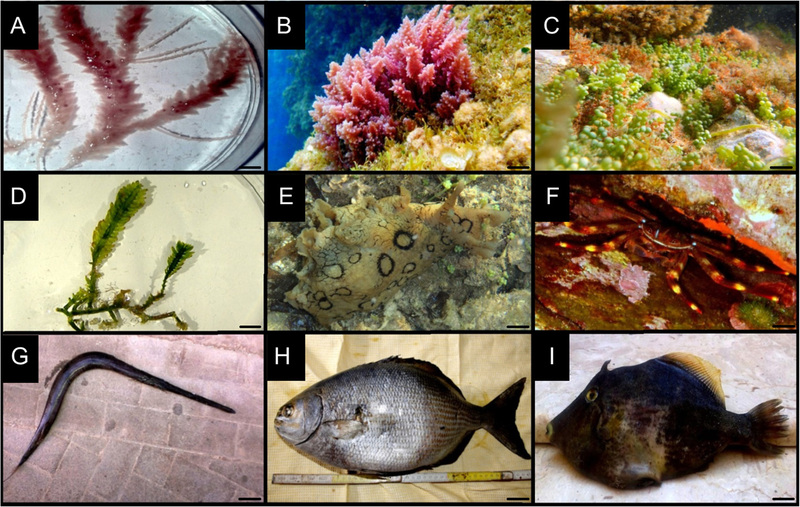 An updated overview of marine alien and cryptogenic species in the ESENIAS region (Egadi Islands Marine Protected Area,Tyrrhenian Sea, Italy) has been published by A. M. Mannino, M. Parasporo, F. Crocetta, and P. Balistreri, in Marine Biodiversity. The review was based on relevant publications, grey literature and unpublished data. Altogether, 17 species (14 aliens and 3 cryptogenic), belonging to five taxa, are present in the area: Rhodophyta (Antithamnionella elegans, Asparagopsis armata, Asparagopsis taxiformis, Bonnemaisonia hamifera, Botryocladia madagascariensis, Ceramium strobiliforme, Laurencia caduciramulosa, Lophocladia lallemandii, Neosiphonia harveyi, and Womersleyella setacea), Chlorophyta (Caulerpa cylindracea and Caulerpa taxifolia), Mollusca (Aplysia dactylomela), Arthropoda (Percnon gibbesi), and Cordata (Fistularia commersonii, Kyphosus vaigiensis, and Stephanolepis diaspros). The overall Mediterranean presence of one further taxon recorded from the area, Zygochlamys patagonica (Mollusca), is confuted since recent findings of living specimens with certain data are missing. Unpublished distributional data are reported for some of these species, and their known distribution in the Aegadian Archipelago is mapped. Records of P. gibbesi (a conspicuous number of specimens) constitute the first for the archipelago. All the species included in the paper were recorded after the Egadi Islands Marine Protected Area was established, with the first record dating back to 2000. The authors assume that this is due to the recent increase in research programs on marinereserves. Finally, the establishment status of all the recorded species has been updated to 2015, and it is discussed why unaidedspread (whether alien or native) and/or transport-stowaway constitute the more plausible vectors of introduction.